St Bede’s Catholic Primary is a thriving and well respected Voluntary Aided school in Basingstoke built in the 1960s. The school has doubled in size over the past six years and now has more than 400 children on roll. It is maintained by the Roman Catholic Diocese of Portsmouth in partnership with Hampshire County Council. The Diocese is working closely with SaveMoneyCutCarbon to maximise savings through energy efficiency measures across its schools in Hampshire and beyond. St Bede’s is a very popular and has recently added a three classroom extension to cater for the growing numbers of children seeking a place at the heavily over-subscribed school. 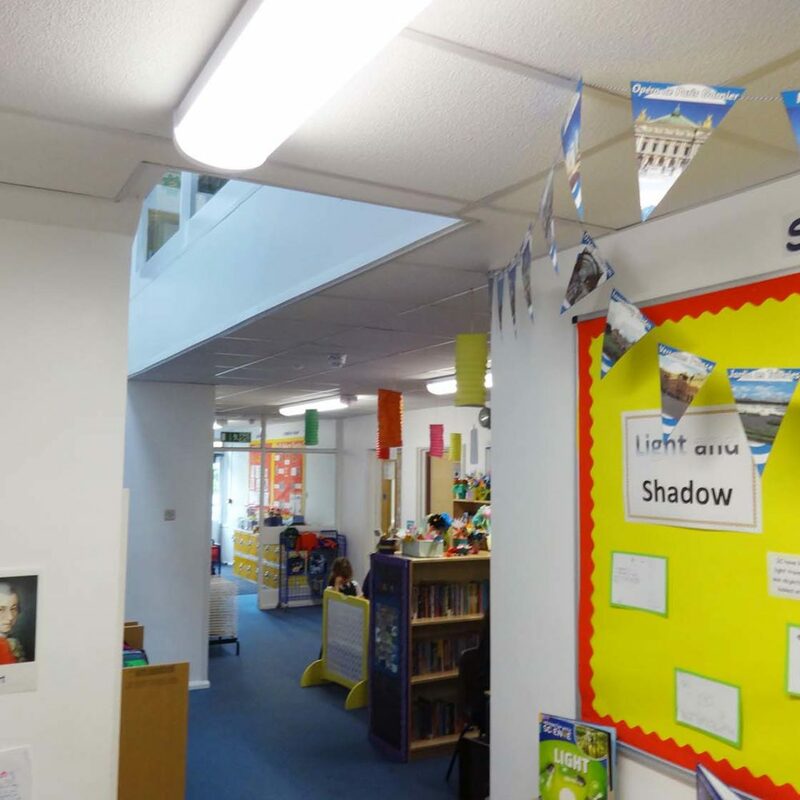 St Bede’s had made some energy-saving changes to lighting as it expanded but had not been in a position to move ahead with larger retrofit money-saving projects due to budget constraints. 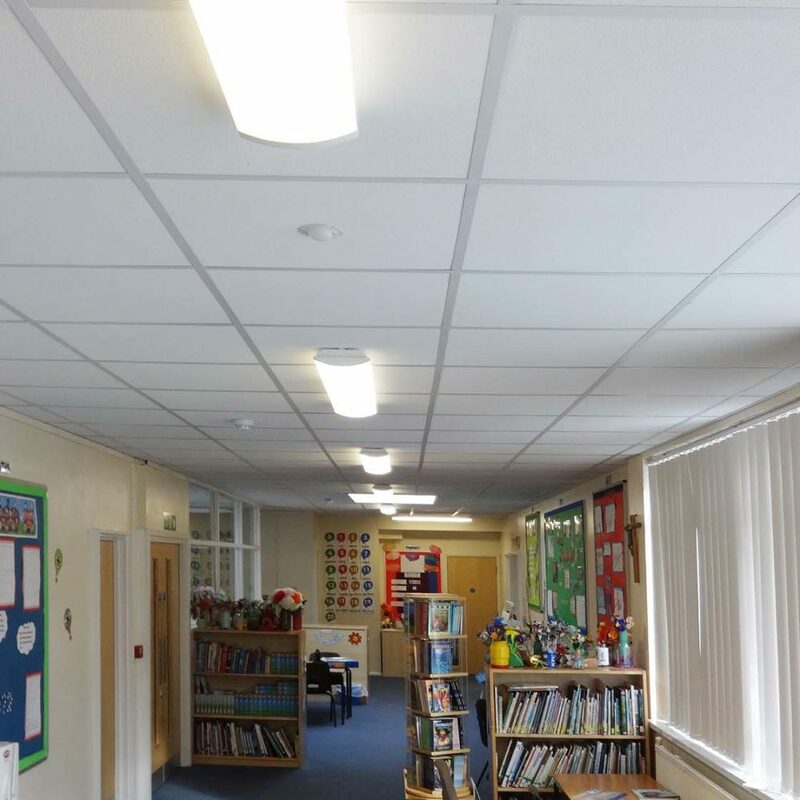 But SaveMoneyCutCarbon provided the solution with Salix interest-free funding, working with the Diocese and school to complete a successful move to LED lighting, managing the entire project. 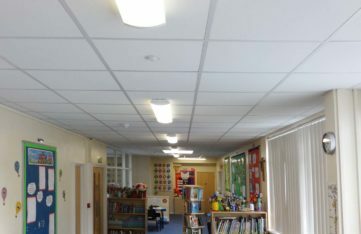 SaveMoneyCutCarbon initially conducted a comprehensive survey to assess the big annual savings to be gained by fitting LED lighting in the 14 classrooms and other parts of the school. The experienced SaveMoneyCutCarbon team handled the project from start to finish, including survey, specification, installation, testing and monitoring. SaveMoneyCutCarbon used its expert knowledge to manage the complex Salix Finance funding application on behalf of the school, securing an interest-free loan to cover project costs, with repayments covered by savings made in electricity bills. One issue was timing. 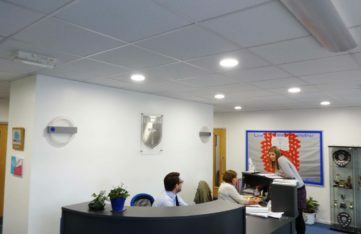 The school wanted quickest action after funding was secured in the summer and SaveMoneyCutCarbon ensured that the entire lighting retrofit was completed during the school holidays. In just five days, the SaveMoneycutCarbon Field Services team retro-fitted more than 150 lighting units, including downlights, tubes, panels, 2D fittings, floodlights and lamps. The team replaced energy-guzzling light bulbs that typically burn out after roughly 1,000 hours and fluorescent tubes that degrade over use, providing a poor yellow light before failing. 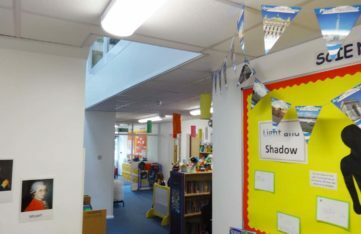 The school agreed to LED as a light source because of its high reliability and light quality, lasting for between 40,000 to 50,000 hours of continuous usage, which helps to cut maintenance costs. Every light is fully supported with a no-quibble, five-year manufacturers’ warranty. 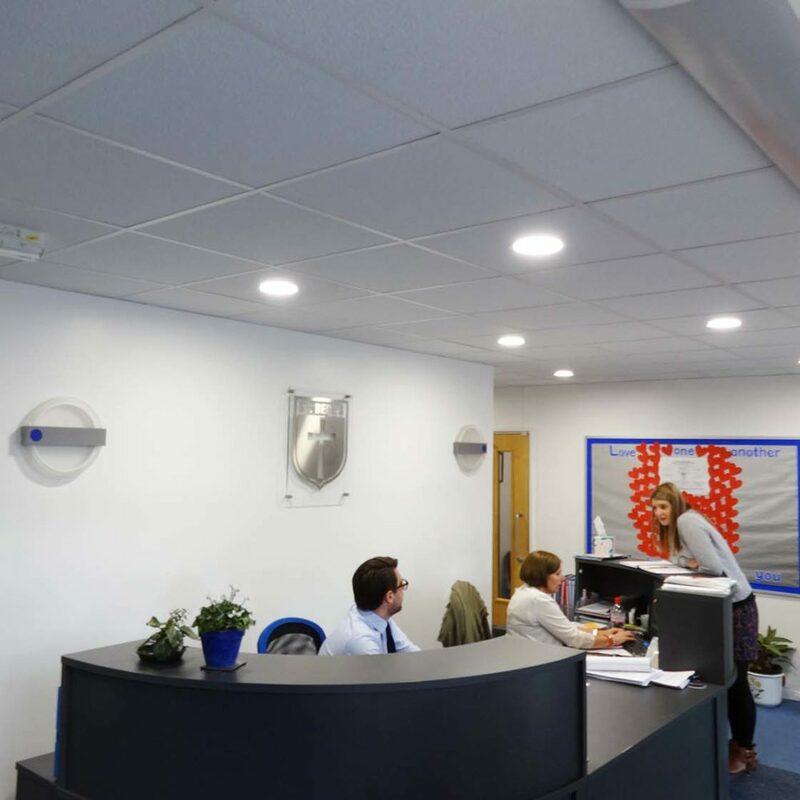 “After SaveMoneyCutCarbon secured the interest-free loan, they moved very quickly to install the LED lighting, ensuring that the work was completed during the summer holidays, which was excellent."